Graphene 4s 5000 MAH 90C not show voltage !! Have you tried plugging it in to something? does your volt meter work on the battery beside it? Hi Yasin, have you tried to get in contact with our customer service team and advise them of the problem? Yes , I bought 4 pieces from this product. 1 pcs defective product. The first time Hobbyking made me so mad. I requested a new product but they rejected it. they attach great not importance to customer satisfaction. I am a platinum member. Since about 7 years. IM so unhappy. Speaking through live chat is as follows. Operator Randell has joined the chat. [13:54:44] Randell: Welcome to HobbyKing! I'm Randell.I hope you're doing good!.How can I help you today? [13:56:15] Yasin DURAN: Is there any progress on the case? [13:56:28] Randell: May I have the Claim no. Please? [13:58:10] Randell: Upon checking it seems that you claim has been rejected. [13:58:26] Randell: And This would be the message that is in your claim. [13:58:31] Randell: HobbyKing.com Service Centers don’t accept crash, damaged parts of the items due to misuse, and items that have been modified. 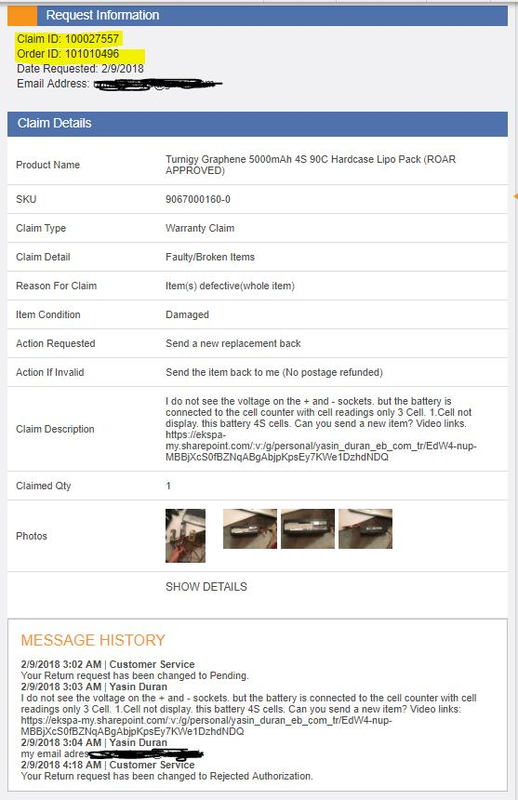 **HobbyKing.com accepts no responsibility for the improper installation and use of purchased products.-The warranty period for all types of batteries is within 30 days, 1 year for other products such as internal parts (ESC, motor, servo, etc.) and RC items (plane, helicopter, boat and car). The warranty period is effective unless otherwise stated on the product listing. All relevant information must be indicated on the RMA application form. [14:08:48] Randell: Are we still connected? [14:09:10] Yasin DURAN: I've used it for nearly 40 days without any issue. it there was any misinstallation it would affect other 3 too whitch I purchased them from u simultaneously. And plz notice that it was working fine but one of them crashed suddenly. [14:12:58] Randell: We understand you frustrations Yasin. But since the item was modified we do not have any liabilities on this one. That is why we are suggesting to the item checked before modifying it. [14:13:57] Yasin DURAN: why are u convinced that it has been modified? [14:16:15] Randell: That is what came up on the results of the evaluation of our Warranty team. [14:17:42] Yasin DURAN: what were their evaluation result? [14:20:43] Randell: That the item has been modified. [14:24:47] Yasin DURAN: would i ask to provide a little bit more information about their result? because i dont understand how they concolude that result while i did not change or modifiy it at all? 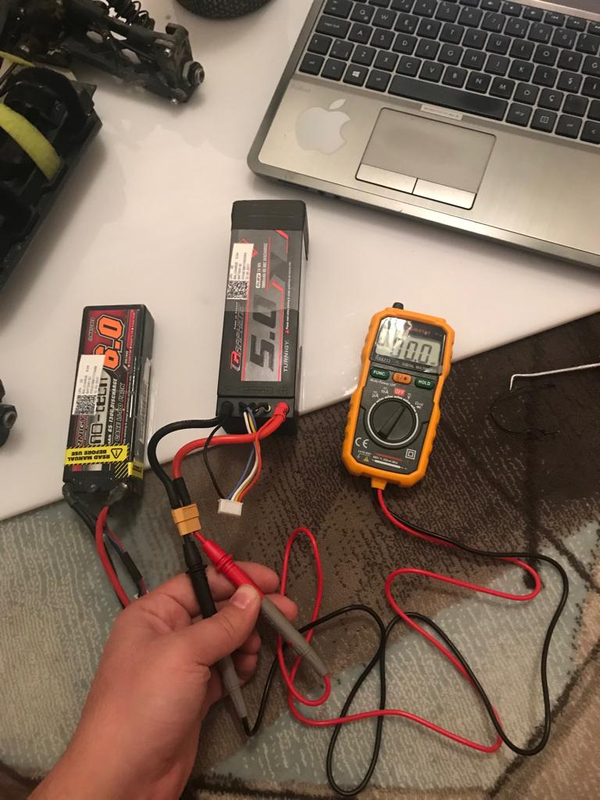 [14:26:47] Randell: It would be because the battery has an included connector and changing the connector counts as modification. In item such as this We suggest to seek advise from Our product specialist first before modifying the item. [14:30:13] Yasin DURAN: after failure, i tested it with another connector which was working to see if it work. but even with a good connector it didn't work. and as u can see the item is a packed thing and it is not possible to do any modification on it. the only possible act is connecting the connector and use. [14:31:25] Randell: As you have said, you have tested it with another Connector that counts as modification. that is why your claim was rejected. [14:35:35] Yasin DURAN: it's really unacceptile to concolude it as modification. If u put that in modification category, then using the batteries with my car should considered as modification too, because I'm using them on a different car than yours!!! [14:36:24] Yasin DURAN: even using the batteries on another country or weather condition could be considered modification!! [14:40:20] Yasin DURAN: if the item was modifiable I would accept your possible concolution. but it is packed one without any ability to be modified! [14:41:50] Randell: We understand your frustrations Yasin. We apologize for the inconvenience. And the best possible way I can do about this concern would be to forward this to our Management to have this reviewed. However there are no guarantees that it will be approve. [14:42:57] Yasin DURAN: ok. how can i contact with mgmt team? [14:44:04] Randell: We will send this to our management and it will be reviewed. To have any possible updates you can contact us back. [14:45:35] Randell: And you will also received an Update by Email. [14:45:39] Yasin DURAN: do i have any reference number? The transcript will be sent to "". [14:49:21] Randell: I have put a not on our order and for your reference you can also have this conversation sent on your Email. [14:50:19] Randell: You're welcome Yasin. It's my pleasure to assist you. Should you need any further information and assistance, please do not hesitate to contact us back through our live chat support for real time response or through email if you have any other concern. Rest assured that we will assist you to the best of our knowledge to give you satisfaction. For self help on your HobbyKing.com inquiries, you may also check our Help Center. Simply log in to your account, click Contact Us, and click the Customer Support Center link. Have a great day ahead ! Cheers! and take care!